Prominent anti-Israel activist Linda Sarsour on Saturday publicly endorsed convicted military leaker and transgender activist Chelsea Manning for her Senate bid in Maryland, calling out potential critics as hypocrites. 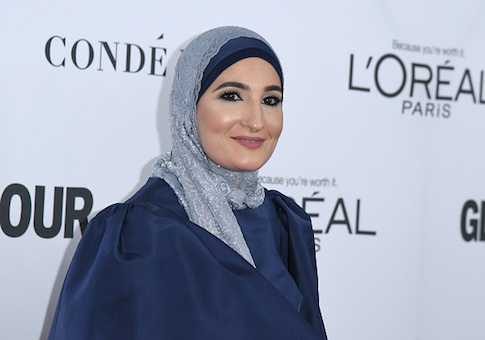 Sarsour, a co-organizer for the National Women's March, said that if someone doesn't mind former Arizona sheriff Joe Arpaio running for Senate in Arizona, but has a problem with Manning, that person is a "hypocrite." "If you are cool with Sheriff Arpaio running for Senate in Arizona but up in arms that Chelsea Manning is running in Maryland – you my friend are a HYPOCRITE. #GoChelsea," Sarsour wrote. Arpaio announced earlier this month that he would run for Senate to fill the seat being vacated by Sen. Jeff Flake (R.). Manning's announcement to run as a Democrat in Maryland came on Jan. 13, and she soon after released a campaign video. It appears Sarsour was comparing President Donald Trump pardoning former Arizona sheriff Joe Arpaio to former President Barack Obama commuting all but four months of Manning's remaining sentence last January before leaving office. Manning, a transsexual formerly known as Private First Class Bradley Manning, was convicted back in 2010 for 22 offenses, including violations of the Espionage Act, after turning over hundreds of thousands of classified U.S. documents and diplomatic cables to WikiLeaks. In order to avoid the death penalty, Manning pleaded guilty to 10 charges. Manning would then be found guilty of other charges that led to a 35 year sentence in a military prison, the longest sentence ever doled out for an American convicted of leaking military documents. Manning served seven years of that sentence before it was commuted by Obama. Trump granted a presidential pardon to Arpaio, known for his proactive enforcement of illegal immigration, last August after he was found guilty of criminal contempt for disregarding a court order in a racial profiling case. "Arpaio’s life and career, which began at the age of 18 when he enlisted in the military after the outbreak of the Korean War, exemplify selfless public service. After serving in the Army, Arpaio became a police officer in Washington, D.C. and Las Vegas, NV and later served as a Special Agent for the Drug Enforcement Administration (DEA), formerly the Bureau of Narcotics. After 25 years of admirable service, Arpaio went on to lead the DEA’s branch in Arizona," a press release from the office of the press secretary said. "Sheriff Joe Arpaio is now eighty-five years old, and after more than fifty years of admirable service to our Nation, he is a worthy candidate for a Presidential pardon," the press release continued. In response the Trump's decision, a federal judge in Phoenix presiding over the criminal case fully accepted the pardon in October and cleared Arpaio of his criminal record. This entry was posted in Politics and tagged 2018 Election, Bradley Manning, Chelsea Manning, Linda Sarsour. Bookmark the permalink.